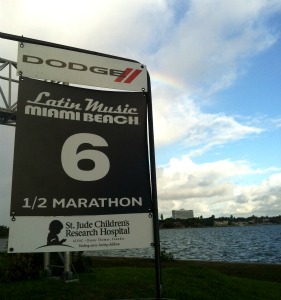 Great views; and the finish line and expo are on the beach. I ran this race last year. Big fun! Run along Negril’s famous 7-mile and sip a Red Stripe after. I’m running this race and will be staying at Beaches Negril Resort & Spa. A girlfriends getaway in beautiful Amelia Island. 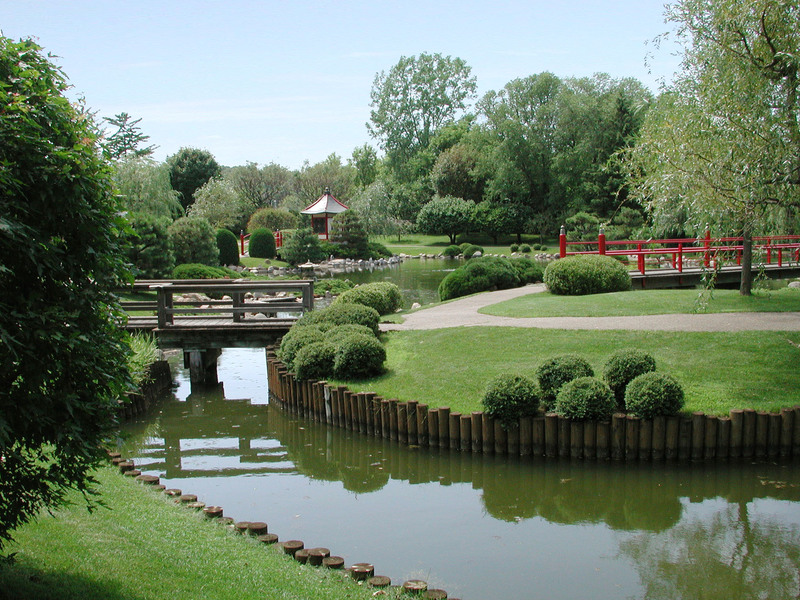 I’m a blog ambassador for this race. I did their Atlanta run in the spring. It was a blast! Pick one race or run all three days in their Bermuda Triangle Challenge – 1 mile, 10K, half marathon or the full marathon. Four medals up for grabs. 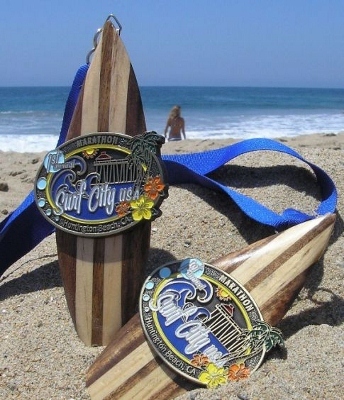 California’s classic oceanfront marathon with fun surf board medals. Love the bling! Lorraine Robertson is an author, nationally published freelance writer and creator of the sites AskWifey.com and RunWifeyRun.com. After two marathons, nine half marathons and countless smaller races she’s still packing her running shoes and looking for her next great race. Lorraine was featured on the Travel Channel’s “Great Cruises: Why Not The Mediterranean?” television show and her life-changing wedding appeared on TLC’s “A Wedding Story.” She lives in the metro Atlanta area with her husband, Napoleon and their kids, Miles, 11, and Milan, 9.